Irrigation water management is one of the most important and critical elements in any successful commercial landscape maintenance program. 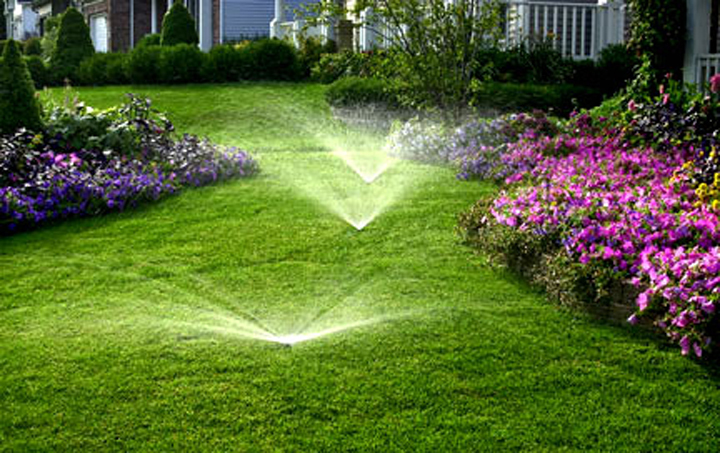 Irrigation water management is also one of the most expensive investments you will have in terms of maintaining your existing landscape because the monthly water bills just continue to arrive. From monthly wet-checks to complete irrigation repairs and installations, no project is either too big or too small for our experienced irrigation technicians. With the constant aging of many homeowner associations and commercial properties, irrigation water management and repairs seems like a constant challenge for many property managers. 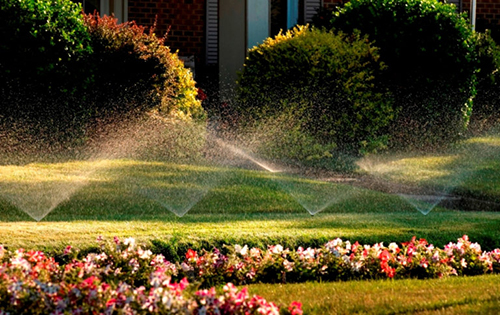 Our goal is to identify and correct any deficiencies or needed sprinkler and irrigation repairs as soon as possible and restore your system to complete operational status as soon as possible. As a licensed irrigation specialist, we not only can help manage all your irrigation issues but we can simultaneously help you save up to 30% to 50% off your monthly water bill. By incorporating some of the newest water management technologies that have recently been introduced into the landscape industry, this technology allows us to help reduce your overall water bill, conserve our natural resources and deliver a healthier and more weed-free environment for your turf and plants. With most existing irrigation systems, a monthly wet-check is a process by which an irrigation technician physically checks each sprinkler head to ensure that it is operating properly and then sets a weekly irrigation schedule which includes how often the irrigation system should come on and for how long. 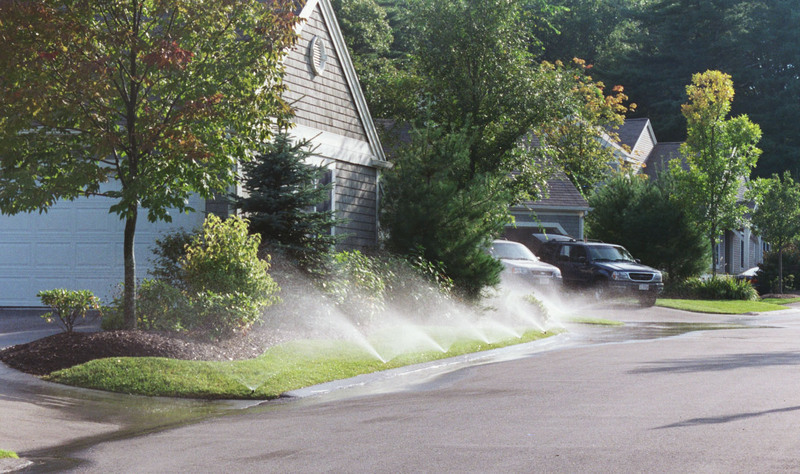 While this method has served our industry as the standard for years, one of its greatest short-comings is that it depends entirely upon someone’s ability to accurately predict the weather every day of the month 30 days in advance in order to accurately apply water to your landscape based upon its water needs. The result is that most irrigation systems apply 30% to 50% MORE water than what is needed! But the problem is they apply it at the WRONG time! Because this is such an inefficient way to water lawns and plants, the result is that it is directly reflected in your monthly water bill. As an industry leader in the use of Smart Technology irrigation water management systems, we can install a new irrigation clock that constantly monitors your current weather patterns and then adjusts your irrigation frequency and duration based upon these real-time weather conditions. The result is the potential to save 30% to 50% off your irrigation water bill simply by incorporating this new technology.The exciting part of this new technology is that it has actually been around and thoroughly proven in large-scale agricultural uses for many years and is just now rapidly gaining popularity in the landscape industry. As with all things electronic, the economics of this new technology has continued to decline and has now made it possible for the individual homeowner, homeowner association or commercial property to recover their initial investment in just a few short months rather than in years.We invite and encourage you to contact On Site Landscape Management and ask us to come demonstrate how we can potentially save you 30% to 50% off your water bill by installing one of these new irrigation water management systems.